The combined pill (‘the pill’) is taken every day, usually with a week off once a month (for a period). It contains two hormones which are very similar to women's own hormones. Easy to start and stop, but can be difficult to remember to take it. 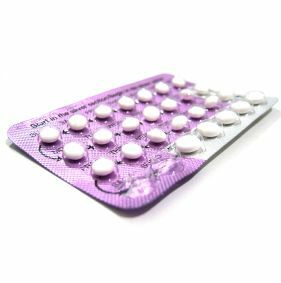 The pill is excellent for controlling periods - they are lighter and less painful on the pill, and you can control when a period comes. If you want to miss periods, you can use two or three pill packets back to back, going straight from one packet on to the next with no break. How much effort is the pill? Women usually take one pill a day for 21 days, followed by 7 days off. During this pill-free week, there will be a bleed (like a period). On the 8th day, women start the next packet and repeat the pattern. This means that it’s easy to predict when a period is coming. If the pill is taken every day it’s really effective, but it can be difficult to remember. Taking the pill temporarily stops the ovaries from releasing an egg each month. It also thickens the fluid around the neck of the womb (which stops sperm getting to an egg), and makes the lining of the womb thinner so that a fertilised egg can’t settle. For more information about how the body works, click here. If you forget to take the pill, or are late in starting a new pack, you might need an emergency pill, or an emergency copper coil.